You'll have to live in the right city at first, however. It didn't take long for Magic Leap to confirm the rumors of an imminent launch for its mixed reality headset. The startup has announced that its Magic Leap One Creator Edition headset is available as of today. If you're an American developer (or very, very early adopter), you can shell out $2,295 for all the necessary hardware. 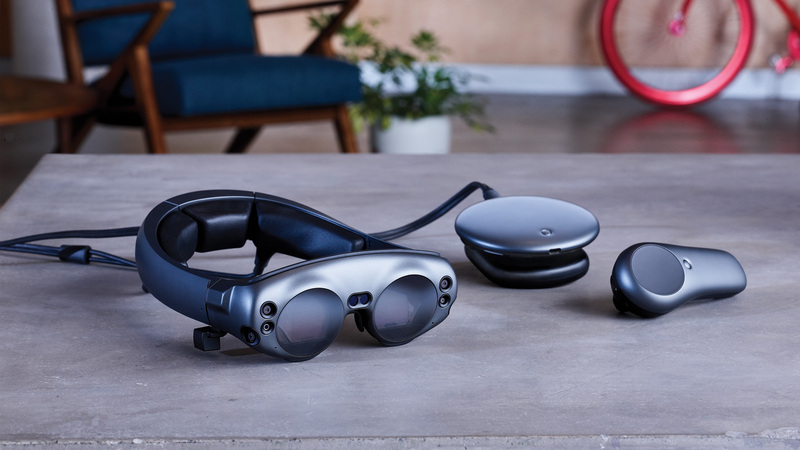 You currently to live in a major burg to get one, though -- Magic Leap only has "limited quantities" available, and it's offering free in-person delivery and setup in six urban areas (Chicago, LA, Miami, New York City, the San Francisco Bay Area and Seattle). If you're not in a qualifying area, you'll have to make a reservation. Don't expect a huge software library. The Creator Edition includes only a handful of "preview experiences" like the Sigur Rós collaboration Tónandi, the sandbox app Create and the blast-em-up game Dr. Grordbort's Invaders. This really is for people who expect to write their own apps for Magic Leap's mixed realty OS, not enthusiasts hoping for an extensive catalog to keep them entertained. For many, the bigger question is when Magic Leap will release a One headset that's intended for mainstream users. And that's still an unknown. Magic Leap needs to foster a healthy app catalog, lower the cost of the technology and address any quirks with the early headset. Think of this like you would the Oculus or HTC developer headsets. Both were rough around the edges and really unsuited to all but the most dedicated enthusiasts, but they showed you where the technology was headed.